The Continental Vanco Contact 100 is part of the Van and light truck range from Continental. 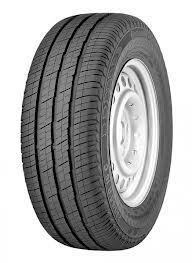 The Continental Vanco Contact 100 is a great tyre that gives the driver better durability on the road which in return increases the life of the tyre. The tyre has added technology that menas the tyre is capable of performing with heavier loads than other competitors on the market. In all the Continental Vanco Contact 100 is a durable, efficient tyre that will save you money and give the driver control and confidence when out on the road.